Q: How much fabric is needed for the Mims valance? My windows are 23 inches wide. Q: CAN I BUY THESE TO FIT A WIDER WINDOW? 58"
Q: how is this curtain mounted? 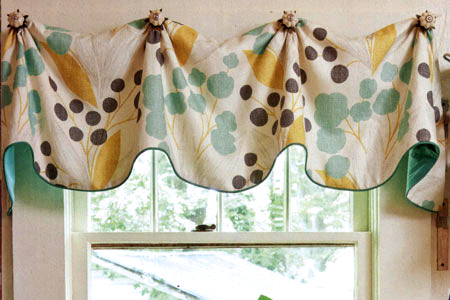 Q: Can the length of this valance be easily adjusted using this pattern? Q: With the Mims pattern, can you spread out the knobs so that my 40 inch window just uses 3 finials? Q: Would the mims or cuff top be easier to do for an 81 inch window? Q: Can this be altered to be board mounted? I have the pattern and I'm ready to make it. 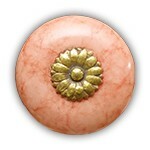 Q: Do you have any really cute knobs like you have pictured for the mims valance? 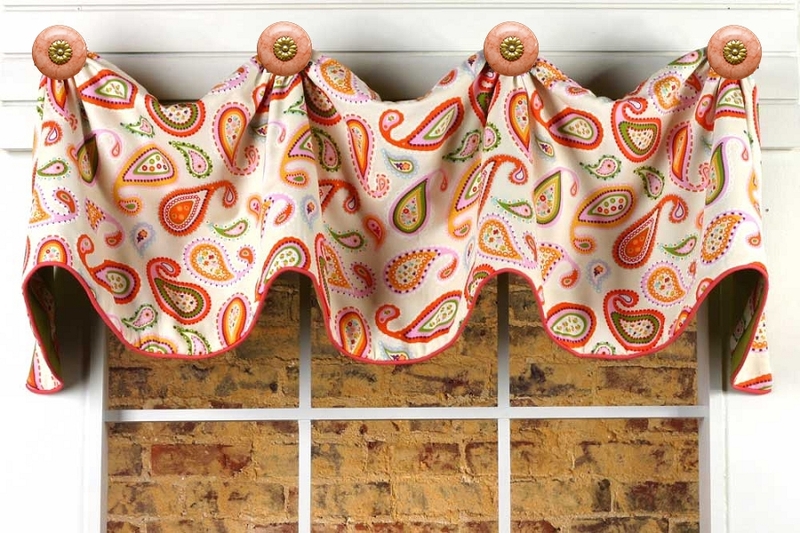 Q: I'm looking for a valance such as the Catherine valance for use over a bay window? Q: I love the melon knobs pictured on your pattern. I am concerned about the fact that they have a bolt rather than screw back. Is that a problem screwing them into your post adapters? What is the minimum diameter the knob should be in order to conceal the cable zip ties? Thanks for any help. Q: When mounting the Mims Valance, over a drape , what size posts do I need to purchase? Q: The width and length of valance.? 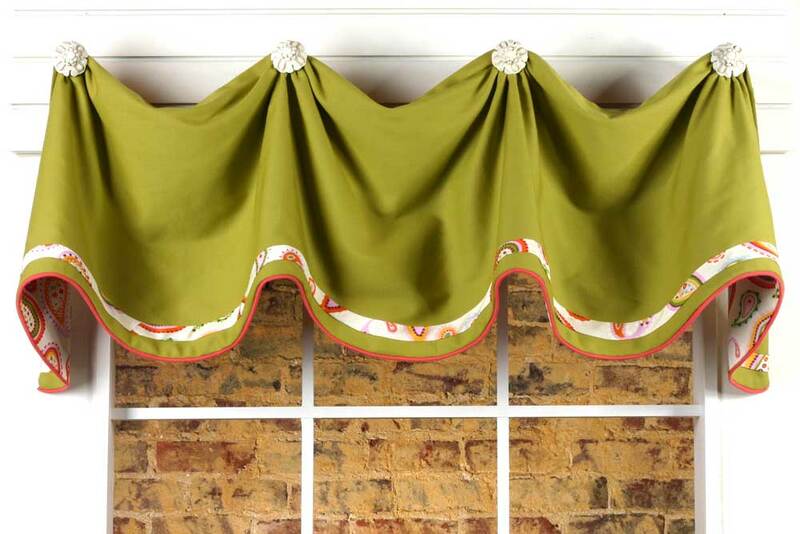 A: The Mims valance is one of our easier valances so you should have no problem. Sewing is like riding a bike. No matter how long it's been it will come right back to you in no time! If you have any questions we are really easy to reach. Give us a call or email for personal attention. Q: What color is the lining? Does the hardware come with the valance or is it separate?